Pretty late last night- so everyone is having a bit of a lazy day I think! My age don't be stopping nobody though so let's be real here..
26 Oct 14 copy & paste +upvote -downvote My age don't be stopping nobody though 😴 so let's be real here..
And I'm ready... For bed. 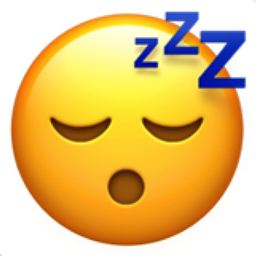 Like Sleeping Face Popular Emojitweets 1?